Looking to Boot Honor 10 into Fastboot mode, then you are at the right place. In this guide, we have shared complete steps to Enter and Exit Fastboot mode on Huawei Honor 10. The Fastboot mode, which is also known as Download Mode or Bootloader mode is quite mandatory to enter on your device whenever you install Custom ROM, Stock ROM, Custom Recovery like TWRP / CWM, Unbrick your device and more. 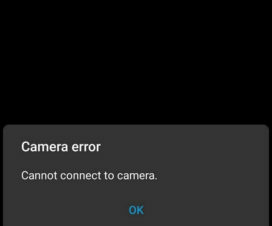 In other words, it is a built-in mode on every Android device which lets you modify the system partition once you are in it and have the phone connected to a computer. 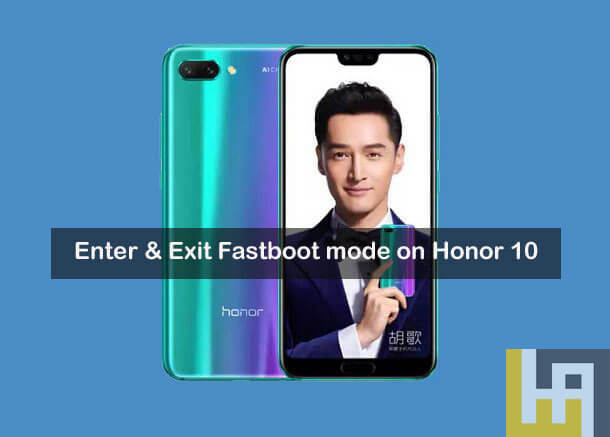 Without much ado, follow the below steps to Boot and Exit Fastboot mode on Honor 10. 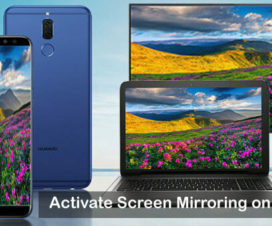 To remind you, Huawei Honor 10 flaunts a 5.84-inch IPS LCD display with a screen resolution of 2280 x 1080 pixels. Under the hood, there is a Quad-core 4×2.4 GHz Cortex-A73 Hisilicon Kirin 970 processor coupled with 4/6/8GB of RAM. Other specs of the device includes a dual 16MP + 24MP rear camera, 24MP front camera, 64/128GB ROM, Hybrid Dual SIM support, and a 3400mAh battery. It runs on Android 8.1 Oreo based EMUI 8.1 OS out of the box. 1. Firstly, you need to turn off your Honor device. You can do it by long pressing the ‘Power’ button for a while and then select Power Off >> Touch to power off. 2. Take a standard USB cable and connect it with PC. 3. Now you need to press and hold Volume Down and Plug the USB cable to your Honor 10. 4. Release the Volume Down button when you see Android fastboot logo on your screen. 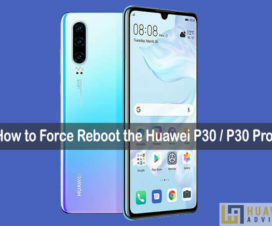 To exit fastboot mode on your Honor device, you need to press and hold ‘Power’ button for few seconds until the phone reboots and a Huawei logo appears on your screen. That’s the simple tutorial to Boot/ Enter and Exit Fastboot mode on Honor 10. 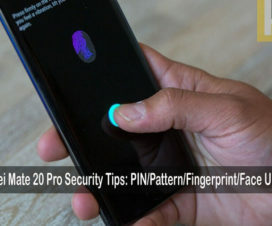 Stay tuned for more Honor 10 tips, tricks and other useful tutorials.